This paper examines asset and liability management in retail banking. Efficient management of the interest rate risk and funding requirements arising from retail banking operations necessitates that these exposures be consolidated, along with positions arising from other operational divisions, under an integrated risk management structure. For this risk transfer process to function effectively, risks in retail banking business must be identified and measured accurately, products need to be grouped into categories according to their repricing and funding characteristics, and product margins and transfer prices determined. Based on the experiences of a British bank, the practical difficulties which need to be overcome when modelling assets and liabilities and simulating decision-making parameters are illustrated. The paper is divided into three parts. 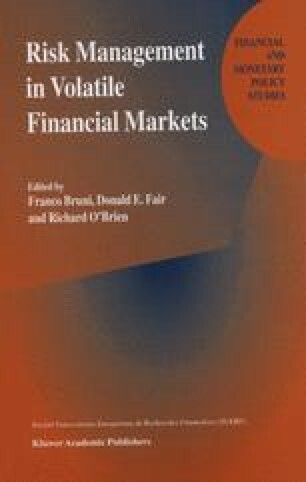 The first considers the sources of interest rate risk in retail banking. A number of distinct product types — variable rate, fixed rate, and zeros — clearly exist in retail banking but careful analysis is needed to distinguish contractual terms from customer behaviour governing factors such as the duration of core funding, repricing terms, basis risk in matched wholesale funding, forward funds delivery, drawndown delays and early repayment. These are considered in the second part of the paper along with the mechanics of the portfolio risk transfer process. Finally, a sensitivity analysis is conducted on the bank’s risk transfer book using Monte Carlo techniques.